About Missionary Care Ministry's Board of Directors. Bill Bath - Bill moved to Georgia from Big Bear Lake, California with his wife Sue and three children in 2001. Bill worked as a General Contractor in Big Bear and served as an elder and worship leader with Calvary Chapel of Big Bear for 12 years. Bill joined Calvary Chapel of Athens and served as an elder and worship leader until Sue was diagnosed with metastatic breast cancer. She went to be with Jesus in 2005. Through an amazing turn of events Bill married Joanne Floyd who had lost her husband, Steve, also in 2005. Bill and Jo live in Bishop where they enjoy their country life together. Bill is the owner of Bath Development Associates L.L.C. and works as a General Contractor. Tragedy struck in 2014 when Bill's beloved youngest son Andrew died in a traffic accident. Bill and Jo attend Christ Community Church in Athens. Bill joined MCM's board in 2017 and serves as the Guesthouse Maintenance Coordinator. Bill is excited about the opportunity to serve MCM. It is his desire to help with the next step in expanding the facility for the purpose of serving even more missionary guests. Bill Booth - We welcomed Bill Booth as Missionary Care Ministry’s Chairman of the Board in 2014. Bill grew up on a farm in Jackson County, GA, and graduated from North Georgia College where he met his future wife, Jackie. They have been married for 45 years and have lived in 9 different states. Happily they have been here in the Athens area for the last 25 and have been members of Faith Presbyterian for almost that long. Jackie is recently retired from teaching 4th grade at Westminster Christian Academy and Bill, as a consultant with Galloway Consulting, works with hospitals across the country to help them meet the challenges of caring for patients in an ever-changing social, economic, and regulatory environment. Bill and Jackie have been blessed with 3 daughters and 3 sons-in-law and 7 grandchildren. As a long-time member of Faith’s Missions Committee Bill has had the opportunity to see how MCM has impacted the lives and ministries of missionaries that he and Jackie know and many others they don’t know. The testimonies of how the missionary guests have been renewed and refreshed through their times at the Guesthouse encourage Bill and Jackie to support the ministry in any way they can. Tim Keil - Tim has served on the MCM board of directors as treasurer since 2008. He came to know the Lord during his college years. Upon graduating in Economics from the University of California-Berkeley, and then earning his MBA, he began his career in banking. Tim is a vice president with Bank of America. He has a heart for seeing people come to Christ. Tim and his wife, Laura (Benson) Keil, co-founder of MCM, live in Pleasant Hill, California. They have 2 grown daughters and one granddaughter. Stephen Mercer - Stephen has been involved with MCM since its beginning with his lawn care service that maintained the grounds of the Guesthouse. Stephen joined the MCM board of directors in 2010 and serves as our Guesthouse Property/Grounds Maintenance Coordinator. He became a believer and follower of Christ as a child and is honored to be a part of the ministry serving Christ worldwide. After receiving his Business Management Degree from Samford University in 2004, he went on to Embry-Riddle Aeronautical University in Florida where he received his pilot's licenses. He is a pilot for Delta Air Lines. Stephen, with his wife Grace, and daughter Ansleigh Grace, currently reside in Fayetteville, Georgia. Wesley Middlebrooks - Wesley has served on the MCM board of directors since 2008, and has served as vice president since 2009. Wesley serves as our Local Public Relations Director. He is an active member of Redeemer Presbyterian Church in Athens and is President of Heyward Allen Cadillac, Buick, GMC, Toyota in Athens. Wesley and his wife, Courtney, live in Athens, Georgia. They have 3 children, Sam, Caroline and Claire. Seixas G. “Chip” Milner, Jr. – Chip graduated from King College, Bristol, Tennessee, 1974. He entered the Life Insurance business in 1975 in personal production with Equitable Life. Today, he is the Chairman of the Board of The Milner Agency, Inc., a six-generation brokerage agency, having recently celebrated their 59th year in brokerage. He is a member of Risk Appraisal Forum. Past-Chairman of the National Association of Independent Life Brokerage Agencies (NAILBA), and various other brokerage industry boards. Chip was born in Atlanta. He is on the session as an ordained Elder at Redeemer Presbyterian Church. He is a former Board member of Westminster Christian Academy, Downtown Ministries, Inc. and Montreat College. Chip and his wife Nancy have four children and seven grandchildren. Chip has served on MCM's board since 2017 providing Ministry Partner Development support. Dane Richards - Dane, his wife Deb, and their four kids reside in Oconee County and are thankful to the Lord for the opportunity to be a part of MCM. Dane began serving on the MCM board as the Guesthouse Major Repairs Coordinator in the fall of 2013. The unique role that MCM serves in “reaching the lost for Jesus Christ throughout the world” is a consistent encouragement to Dane to honor the Lord wherever God calls. For Dane, this includes raising kids, working as an engineer as the director of Capital Engineering and Infrastructure at UGA, and everyday life things like going to the bank or getting gas. “And whatever you do, whether in word or deed, do it all in the name of the Lord Jesus, giving thanks to God the Father through him.” Colossians 3:17. Dane and Deb and their family are active members at Watkinsville First Baptist Church. 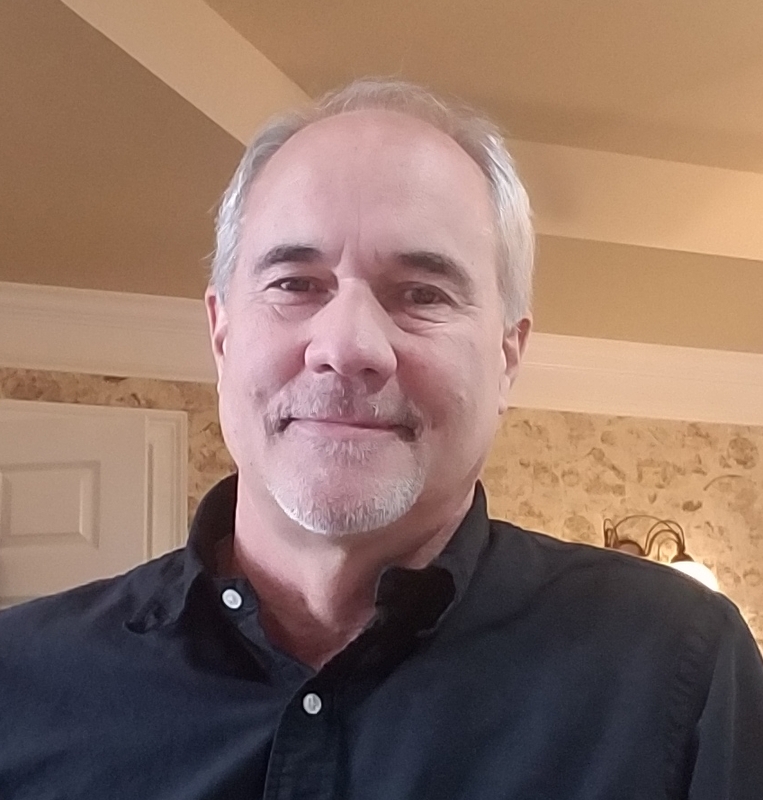 Dave Stearns - Dave Stearns has been a supporter of MCM for years and joined the Board of Directors in 2017 where he serves as Missions Agency Coordinator. He and his wife, Shelley, have been married for 28 years, and have been blessed with 7 children. They attend Watkinsville First Baptist Church. Dave became a Christian in the spring of 1984 at Purdue University. As a result, after graduating, he joined the staff of Worldwide Discipleship Association (WDA) at the University of Georgia. Then in 1992, Dave started his career in the Financial Services industry. Dave is currently the president and founder of Stearns Retirement Group, and has 20+ years of experience serving retirees. He is also currently the CEO and founder of Care to Continue, an independent Home Care Agency serving Athens and the surrounding counties. In 2011, Dave and his family moved to Zambia for a year to be full time missionaries. This is where his eyes were opened to the life of a missionary, and why he is so appreciative for the Snows Mill Guesthouse. Dave is grateful the Lord has given him the opportunity to now serve alongside such a talented group of board members at MCM. Celia Stockamp - Celia has had the privilege of serving on the board of directors for Missionary Care Ministry (MCM) since its conception in 1999. She works as a Ministry Partner Facilitator for MCM. Celia has served on staff with Campus Crusade for Christ, Worldwide Discipleship Association, and Institute for International Christian Communication. As she has followed her Lord's call, she has served Him on short-term mission trips in Jamaica, Brazil, Central Africa Republic, various countries in Europe, Thailand and Democratic Republic of Congo. Celia and her husband, David, live in Buford, GA and enjoy worshiping at Chestnut Mt. PCA. They have 6 grown children and 7 grandchildren. David serves as a missionary to DRC with the Evangelical Covenant. Jay Sultan – Jay was a supporter and servant of the Guesthouse in its earliest days, serving on the initial volunteer work crews when the house was purchased. He also helped author the first business plan for the Guesthouse. He is honored to serve the ministry by joining the Board of Directors. Jay grew up in the Georgia mountains and graduated from UGA as well as the University of Chicago. Jay and Nichole have a heart for serving missionaries; between them, they have led or participated in short term trips to every continent except Australia. Jay and Nichole have been married for 13 years and have two children. Jay is a Deacon at Faith Presbyterian Church, where he has been a member since 1994. He is a national expert on healthcare payment reform and now serves as VP Healthcare Strategy at Cognizant, an India-based consulting company. Jay has served on numerous boards and professional organizations. Nichole is a teacher of children with severe special needs and is currently homeschooling full time. Jay supports technology at the Guesthouse and Nichole seeks to provide hospitality to the guests.